There are gadget wars and then there are equally big carrier wars. AT&T is currently the only service provider distributing iPhones in the US but reports from inside sources are confirming that Apple’s most popular device is coming to rival Verizon in January 2011. The reason behind rumours turning to reality is a report from Techcrunch’s Steve Cheney which claims that Apple has ordered millions of CDMA chipsets from manufacturers Qualcomm, which could mean only one thing. 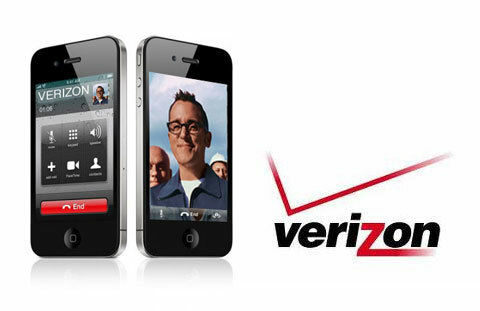 The iPhone is going CDMA via Verizon. Now, Verizon has its own faithful clientele who haven’t bought an iPhone yet as it doesn’t offer their preferred CDMA technology. If the iPhone really does come to Verizon, it would be yet another fresh launch for the world’s favourite smartphone and at least a couple of million sales are guaranteed. There are a huge number of Verizon customers in the US and it’s safe to assume that a lot of them will dump their previous devices for a CDMA iPhone. What confirms the news even more is AT&T’s recent statement about having no problems with the end of its iPhone exclusivity and claims that it’s not likely to effect sales. This was laughed off in the tech world as AT&T has seen lots of criticism recently and it’s naïve to expect that a whole new source for iPhone sales won’t affect the original sellers. It’ll be interesting to see the new chapter of carrier wars unfold right before our eyes.